I absolutely adore seasonal decor and decorating. Of course next is Valentines day! 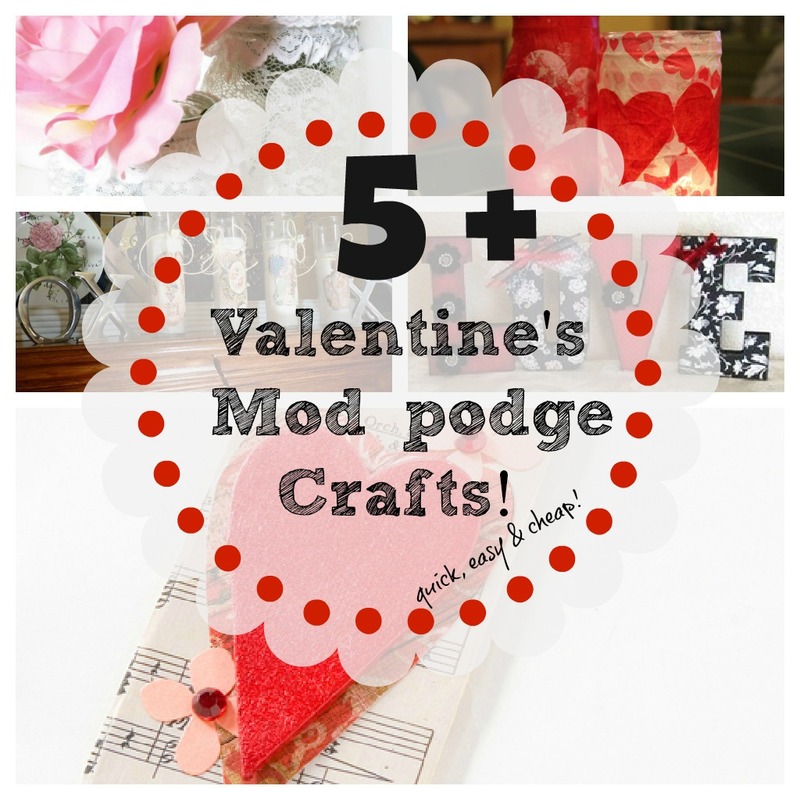 Love it, and today I am sharing some Valentine’s Mod podge diy craft ideas. Last year I did a few mod podge projects and this year I would like to step it up a bit. So easy, and so rewarding at the end. How about I share with you some inspiration I found, and perhaps you will see a few of these at my own hand soon. Mod podged letters using scrap paper with some pretty embellishments. These letters can be purchased at any hobby/craft store. These jars with tissue paper are so cute. You can even purchase these votives at the Dollar tree with some tissue paper and you have a fun, inexpensive one of a kind votive. 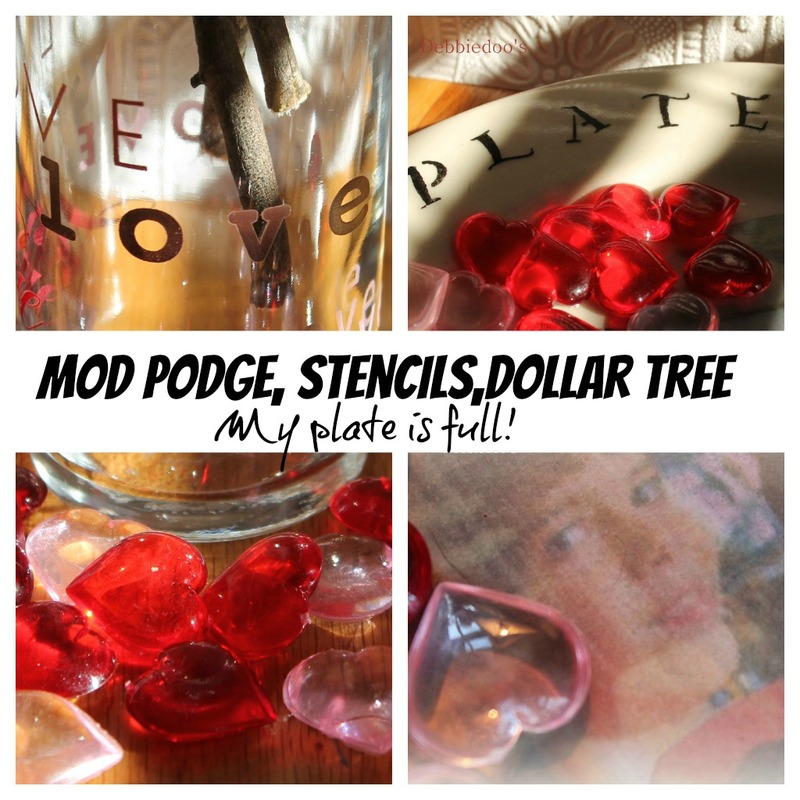 Mod podged Valentine vintage graphics on dollar tree candles. my Plate is full is one of my favs. gallery for more inspired ideas. 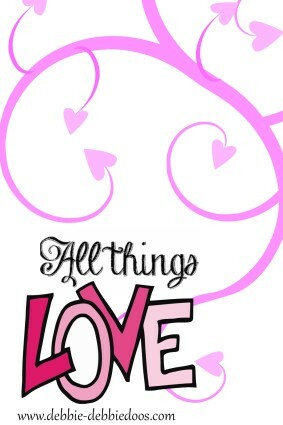 My All things Valentine’s gallery of ideas. Sure would love to see you back again if you are not a regular. Can’t wait to see it Kathy! So very sweet and Lovely!! 🙂 You gotta Love that Mod Podge. I can’t believe Valentine’s Day is just around the corner. I have to step it up and get myself ready for that. I am still in organization and redecorating mode after the holidays. Love all the inspiration! Time flies when your having fun Judy! I love all of these! I so need to get on the ball and get my craft ready for the party…nothing like last minute! PInning! TA DA…..I got it ready….I can join the party! So happy you will be here Ceekay, I look forward to it. I heart all of them! Thank you Vanessa, I am on a roll lately! I love Dollar Tree, and inexpensive crafts. I have never used Modge Podge, but hear people rave about it. It’s just fun! And makes the projects looks cute. and of course adhere and have a finished look. Such beautiful projects, Debbie–I love the lacy jars and the letters, but I really like the candles you made with the vintage images! So nice to hear from you, and sorry it took me so long to get back. Since you wrote, my computer completely died, we had the hard drive cloned and we got a new computer to replace it, so I’ve been offline for a few days. Also got a DSLR camera, my first, so I’ve been working to figure out how to use it–finally got my first pictures taken and loaded on my computer–yay! Now it’ll take me about a year to figure out how to shoot in manual mode 🙂 I’ll see you at the party tomorrow!